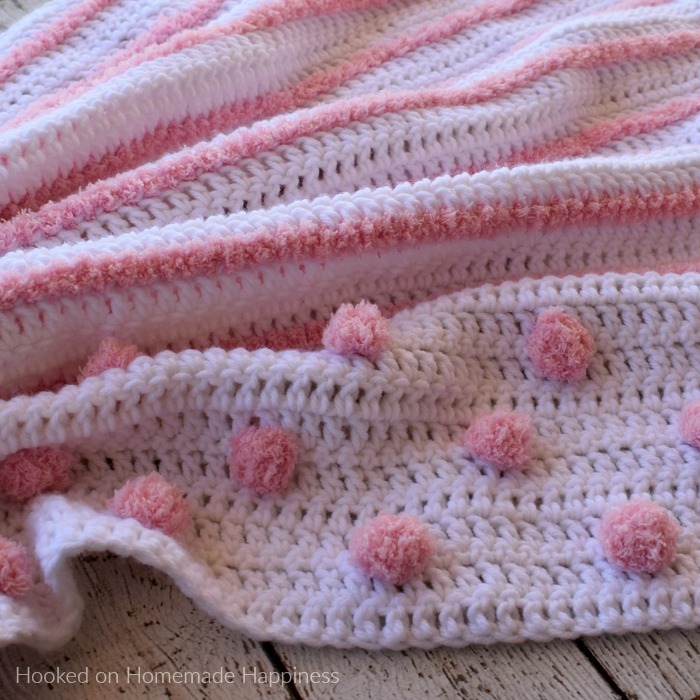 I love all the textures in this Touch and Feel Baby Blanket Crochet Pattern! 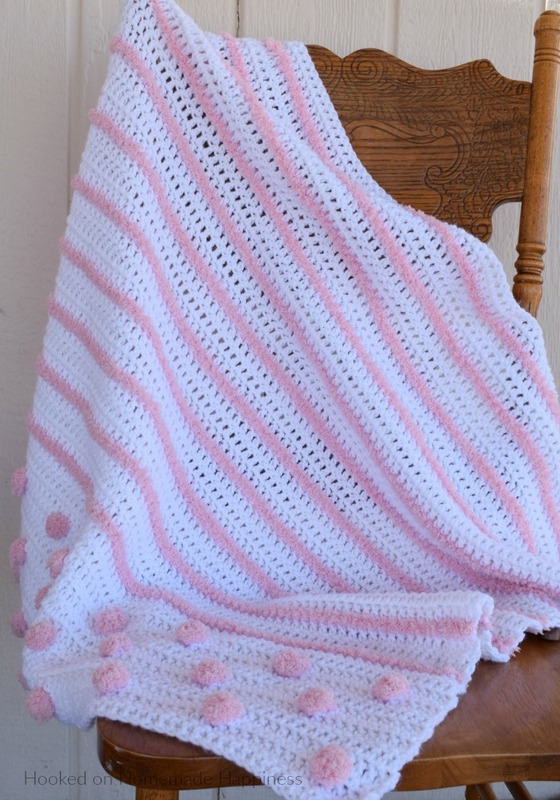 From the different yarns and different stitches there’s a lot for baby to touch and feel. 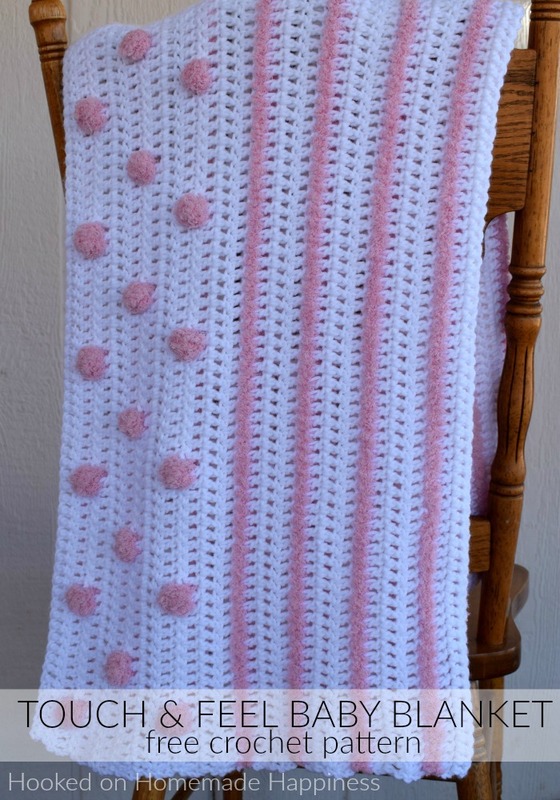 Baby will love spending tummy time on this blanket! One end of the blanket has bobbles while the rest has stripes. 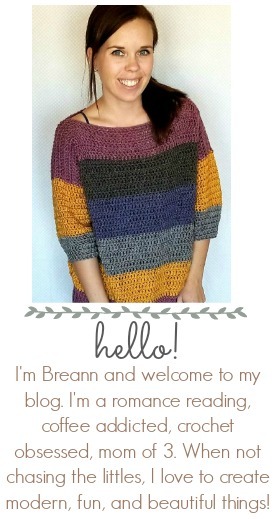 The Bernat Pipsqueak yarn is so soft! It creates such a fun texture to touch and play with. 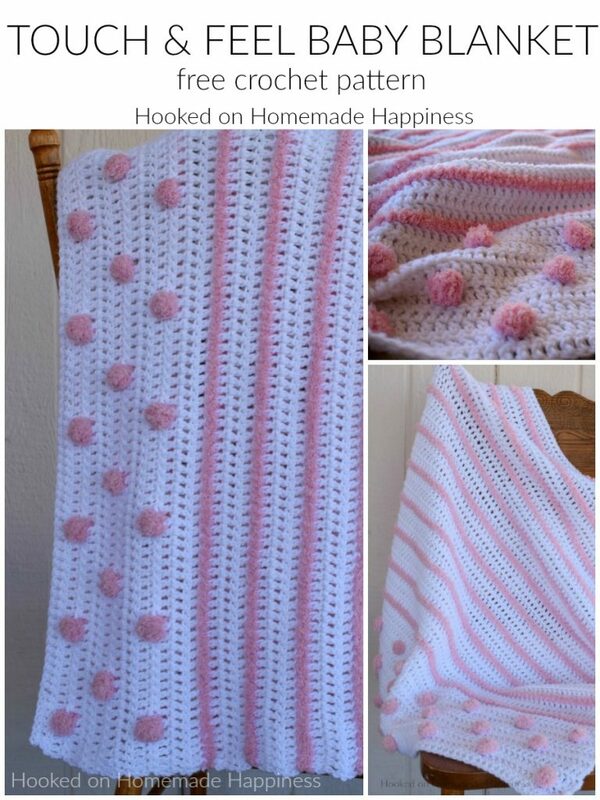 While the stitches used are considered a beginner level, I consider this project a lower intermediate because of the yarn. The Pipsqueak yarn has basically no stitch definition so it’s hard to know where you stitches are. You almost have to work in instinct to know where to put your hook. But as long as you keep count of your stitches, it should work up great! For the next row you will work the bobble stitches. I fastened off and rejoined the Pipsqueak yarn for each bobble. You can definitely carry the yarn if you choose to. I chose not to because it didn’t stay hidden very well. It can be hard to tell where to add your stitches in the next row. Be sure to count your stitches after the next row. And you’re done! 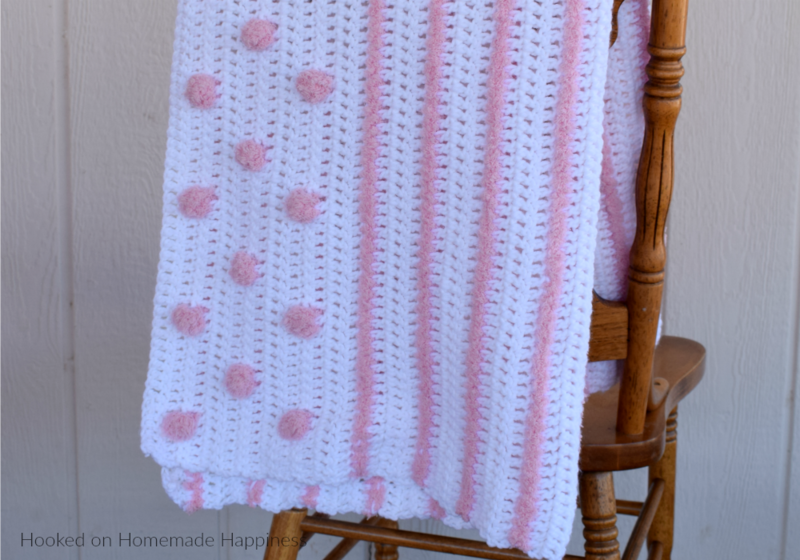 I hope you love this beautifully textured baby blanket!